Click Add New in the Pages menu. Add a page called “Home” or whatever you want the title of your home page to be. Be sure to publish it. 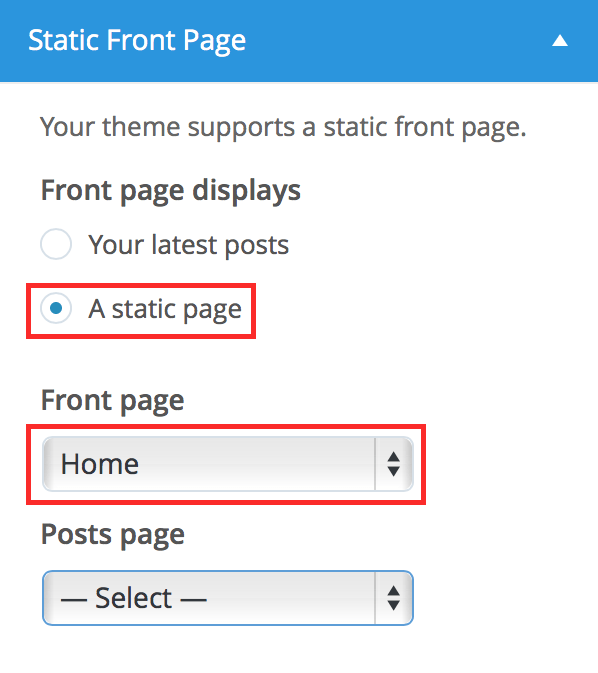 Select the Static Page option, then choose your new page from the Front Page drop down. The preview window will display your newly selected page as the front page of your site. If you would like to have a blog, you have the option to set up a separate page to display your recent posts elsewhere on your site. 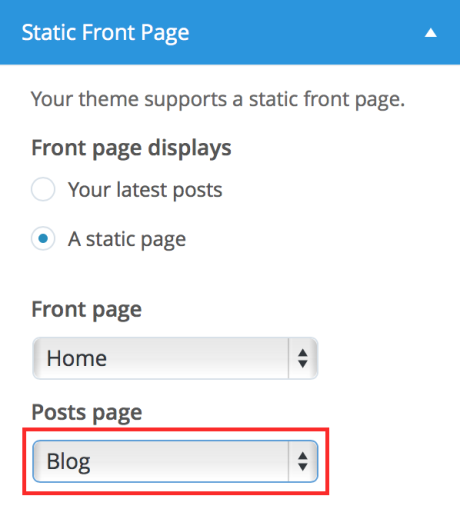 As with setting a static “home” page above, you will need to create a new page called “blog” and return to the site customizer, and choose this page from the Posts Page drop down.